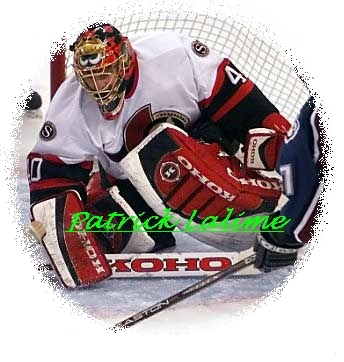 The Un-Official Homepage of Patrick Lalime. 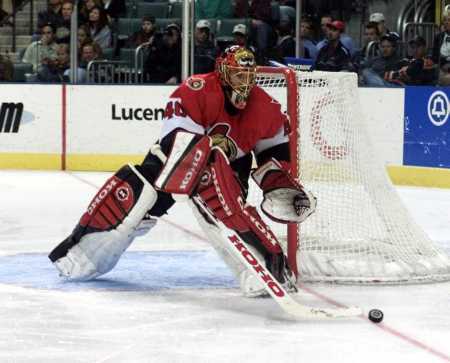 Lalime is currently awaiting a new contract with the Senators. Lalime is one of about 8 Restriced Free-Agents the Senators are trying to re-sign. Lalime will be commanding a hefty raise over the $600,000 per season he is currently making. Lalime and Agent Gilles Lupien will probably be asking for somewhere between $2.5 and $3mil per season after his 40 win season in "00-01". Other restricted Free-Agents the Senators are trying to re-sign include Marian Hossa, Magnus Arvedson and Wade Redden.